Dev Om is a Himalayan yogi and a spiritual guru from India. He invented ‘Mindfulness with Light Meditation” and Circle of Light Spiritual Phenomenon” along with 20+ different kinds of guided meditation techniques which deal with various emotional and spiritual issues and human consciousness. He is also an accomplished author having published 12 Spiritual and Self-help books for people to benefit from his teachings in any part of the world. His books – ‘Beyond Karma’, ‘the Light’, ‘The Cosmic Energy and Chakras’ and ’21 Meditations for Empowerment’ have proven to be bestsellers. Ever since he started his journey as a life meditation coach and a spiritual guru in the year 2005, he has helped thousands of people on their path of spiritual journey. He taught them self-evolution and methods of self-growth and how to take control of their creative powers to excel in life. 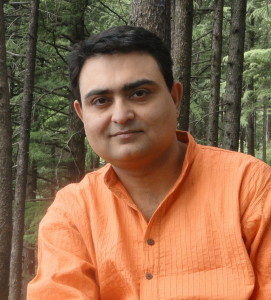 Born in 1974 in Central India, Dev Om studied Networking Engineering and had a Master Degree in IT. But this was sufficient for him as he soon realized that he needed to do something more meaningful with his life. So, in the year 1997, he set out on the path of self-discovery and his quest for the Ultimate knowledge. In the year 2003, he gave up his software export business and left for the Himalayas to learn and practice meditation. After six years of meditating, he was able to cleanse his inner self and realized the meaning of Universe and attained pure consciousness in November 2009. After that, he started traveling all across the country to share his knowledge with others and help those who were lost and in need of someone to show them the right path towards a meaningful life. With his immense knowledge and greater spiritual energy, he can bring peace, love, and joy into anybody’s heart as long as they commit themselves to his teachings. He has developed techniques which are an amalgamation of the powers of Science and Spirituality. His knowledge of Quantum Physics and the spiritual Master (Satguru) inside him have helped him realize the concept of energy flow and discovery of human consciousness. During his teachings, he emphasizes on keeping a clear and focused mind. One should remain positive and show dedication towards his teachings to fully benefit from them. We all have the capabilities of being in love, peace and reach our inner consciousness. All we need is someone to show us the right path to get there, and Dev Om has dedicated his whole life to doing so for others. Dev Om offers his courses and training in over 18 countries, and hi work has been translated into seven world languages in over five countries. 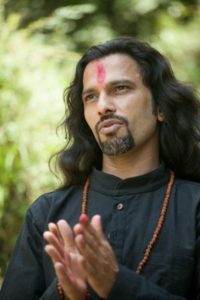 He is the founder of Om Foundation and Om School of Self-Discovery, an NGO dedicated to creating and teaching self-discovery courses, offering tools, books and meditation sessions to support mass human evolution. He has his centers in Delhi, Rishikesh, Dharamshala and Amritsar in India. He was Born in the year 1953, Yogi Budhi Prakash had his first encounter with spirituality at the age of 7 when he had a vision of his past life while traveling in the Himalayas. Thus, he attained Samadhi at a very young age. He finished his Higher education from Agra and Haridwar Universities. He has a master in Hindi literature and has studied Yoga Philosophy. 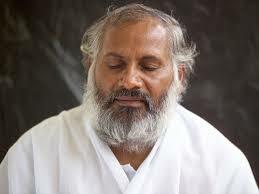 He got initiated in Shankaracharya Tradition by his master Maharishi Mahesh Yogi and spent a lot of time with him after that learning and practicing Transcendental Meditation. He moved to a deep cave in Rishikesh to evolve the power of Meditation further and lived there for many years. He then started teaching Yoga in Rishikesh. He has his followers from all over the world, and he has traveled in many countries to spread the power of Yoga and Indian Philosophy. He has been invited as a guest teacher in many schools and Universities. He has deep knowledge of various Indian Philosophical practices like Patanjali Yoga Sutra, Shiva Sutra, etc. He organizes Yoga seminars all over the country, and many many spirituality seekers come to him to find the right path and knowledge to gain inner peace.